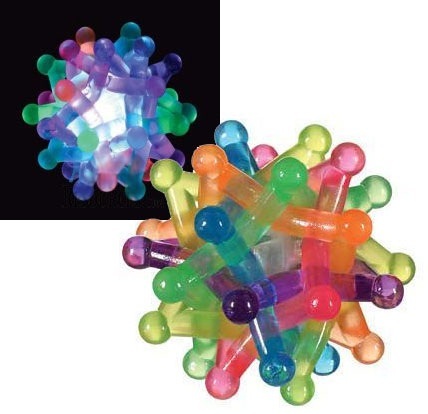 Colorful stars are interwoven around a light up hi-bounce ball. Bounce the 3 inch Neutron Ball to activate a multi-colored light show. The flashing light inside is activated with a tap, making this ball a blast to use in the dark. A great sensory / fidget toy! Made by Toysmith.